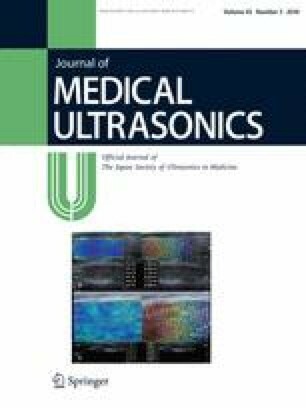 We evaluated the efficacy of fusion imaging combining contrast-enhanced ultrasonography (CEUS) images and arterial phase contrast-enhanced CT (CECT) or hepatobiliary phase magnetic resonance imaging with gadolinium ethoxybenzyl diethylenetriamine pentaacetic acid (EOB-MRI) images for the early evaluation of the effectiveness of radiofrequency ablation (RFA) for small hypervascular hepatocellular carcinoma (HCC) with iso-echoic or unclear margins on conventional US. Forty HCCs (22 iso-echoic and 18 unclear margin lesions) with mean diameters of 13.7 mm were treated using RFA under the guidance of fusion imaging with CEUS. The adequacy of RFA was evaluated using fusion imaging with CEUS 1 day after RFA. CECT or EOB-MRI was performed 1 month after RFA. We reviewed the images obtained using both modalities. When the 1-month CECT or EOB-MRI scans were used as the reference standard, the sensitivity, specificity, and accuracy of the 1-day fusion imaging for the diagnosis of the adequate ablation of these HCCs were 97, 100, and 98%, respectively; the kappa value for the agreement between the findings using the two modalities was 0.655. Fusion imaging with CEUS appears to be a useful method for the early evaluation of the efficacy of RFA for the treatment of HCCs with iso-echoic or unclear margins on conventional US. All procedures followed were in accordance with the ethical standards of the responsible committee on human experimentation (institutional and national) and with the Declaration of Helsinki of 1975, as revised in 2008.